ITAC, with the support of its partners Invest Ottawa and the Ministry of Economic Development and Trade (Ontario), will lead a mission of 10 Canadian ICT companies to India from January 18-23, 2015. This mission is specifically designed for ICT companies in telecom (including applications), cybersecurity and e-health. Canadian companies on this mission will meet large Indian-based multinational firms seeking new partners to address these specific areas of expertise. The first two days of the mission will take place in Mumbai. Then the companies will travel to Bangalore. The mission will end the week in Delhi where the meetings with MNEs will continue. In addition, MEDT will be sponsoring a booth space at Convergence India, a key forum for engagement with India’s digital community. The mission will be conducted with the active participation of Department of Foreign Affairs, Development and Trade, Trade Commissioner Service as well as Export Development Canada. It will present an opportunity to establish meaningful business contacts in the Indian marketplace. It will also offer an important grounding in the Indian business culture and present participants with useful market intelligence. The mission is designed to provide a sound foundation for ongoing business development in the Indian market or to accelerate business development initiatives already underway. Thanks to funding from DFATD, ITAC can reduce the travel costs associated with this mission by up to half. We believe this mission offers ICT companies a high-value, curated exposure to a vitally important market at significantly reduced costs. ITAC’s recruitment process for this mission is now open. We look forward to hearing from you. Contact Lynda Leonard to address questions and to register. Complete the registration form to secure one of the 10 places in this mission. Following registration, participants will meet our consultant to outline their objectives and indicate their key B2B targets in India. Between now and January there will be several organization teleconferences for participants with Trade Commissioner Services officials in India to outline plans for meetings and events as they unfold. Participants must have a valid business visa for India. 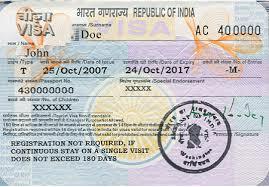 Visas are obtained from the local Indian consular office or High Commission. (You should allow at least 10 days for the processing of visas). India currently has the largest population of rural citizens in the world but as the India economy transforms itself urbanization is expected to grow at a staggering rate. 250 million rural Indians are expected to migrate to cities by 2020. This rapid urbanization poses a major challenge to Indian society and is the focus of much strategic planning by Government and industry. The challenge is well depicted in this presentation by Dr. C.S. Rao of QuadGen Wireless Solutions. ITAC’s mission to India, with its focus on telecom, e-health and cybersecurity companies, will explore opportunities as India’s urban transformation unfolds. 2-3 Meetings with MNEs such as Happiest Minds, Wipro and other potential companies. 2 Meetings with MNEs such as Airtel, Apollo Group, Alcatel, Tata COIN. Mission participants should plan to arrive in Mumbai by January 18. There is a United Airlines flight that flies directly from Newark in 15 hours) and the Air Canada/ Air India service while not direct is very good. Jan 18-20 our base of operations will be the Taj President. 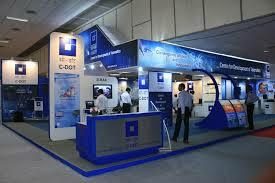 All our meetings will take place in Navi Mumbai. 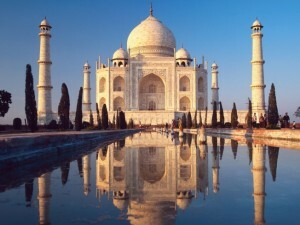 Group ground transportation to and from the Taj will be provided. Additional information for business travelers. At the end of our three days of meetings with MNEs in Mumbai, Bangalore and Delhi the Government of Canada and the Government of Ontario will be offering a joint program in DELHI for the ITAC and Ontario delegations. They will co-host a networking event on the evening of January 22nd, possibly at the Official Residence (subject to re-confirmation) with local contacts, and they will have a Canada-Ontario booth at Convergence India 2015 to facilitate on-site B2B meetings at the show. Please note that to gain maximum effectiveness for the B2B meetings at the show, we will require company profiles on or before December 15th so that the organizer of the show can share them with all registered participants to gauge their interests to meet with our companies. For further information contact Lynda Leonard (ITAC) or Akhil Tyagi (Ontario). ITAC’s Mission to India takes place immediately prior to the 23rd edition of Convergence India, a major technology conference and showcase in Delhi Jan 21-23. The International Trade Branch of the Ontario Government will have funds for Ontario based companies to participate in Convergence India and plans to have space at the trade show for Ontario companies to exhibit . Participants in ITAC’s mission are encouraged to explore this opportunity. ITAC recently conducted two “Doing Business in India” seminars with Invest Ottawa. You are welcome to review the presentations from the seminar.